I’ve been here numerous times and this place has a good vibe to it. It is a mellow bar/restaurant with very friendly bartenders and staff. They are very welcoming here. They have a great bar with delicious pork slap beer, which I always get. I ate dinner here once, and remember it being good, but don’t remember anything out of the ordinary. They grow their own vegetables on the roof of the building, which is really unique to NYC. Open late on the weekends and a nice spot to stop in for a drink, or two. Having eaten here twice, I can tell you the drinks are great, ambiance even better, and when coupled with good company, an awesome evening. Nice people and a great bar. The service was good on a Thursday night and fair on Friday as the place was packed. Go for the burger – it was awesome. The skirt steak is also a favorite. Watch your head when you’re leaving if you’ve had a few drinks, the cieling is low when walking out the front door and up the stairs. I recommend highly. It has a rustic decor, but is elegant at the same time–like being in a fancy log cabin, sorta. 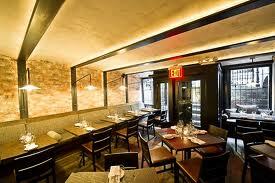 Everything here is quality: the food, the drink, the service, the low-light atmosphere. They have a cutting edge garden on the roof where they grow all the veggies, so you know everything’s fresh. There’s a hidden room that’s very intimate and fun to chill in. Good music plays, and the people who work there always hang out late at night drinking. So, it’s good to go with a group, the place fills up and you can hit on good-looking people, you can bring a date for drinks or a nice meal, and at the end of the night, when the place clears out, you can stay and keep drinking and help close the place up. We insiders call it BBC. As a regular here I have mixed feelings about writing an honest review for BBC. Both the food at the restaraunt and the scene at the bar are such west village treasures, that the last thing I want is to be responsible for an influx of Murray Hill-ers who are out for their big night in the WV. If you feel that that may pertain to you, you are not welcome. For the rest of us, the bar has a great looking and eager to meet, chat, and drink crowd. Never too loud, too crowded or too empty. When the vibe is conversational, the music is low and quality and when the vibe is festive, the music obeys. About the food- be sitting when you try the burger patty, your knees might buckle. My son lives in the West Village and has taken the rest of the family to BBC (Bell Book and Candle), as we now refer to it. My husband and I really enjoy the ambience, food, and demeanor of the staff. They are so pleasant and professional and always make us feel welcome, even though we are older than the ‘regular’ crowd. The music is not too loud – which enables us to hear each other and the food is terrific. 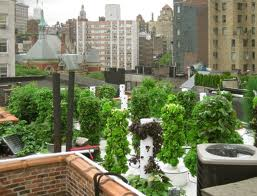 We LOVE that the food is so fresh and the garden on the roof is second to none in NYC!! Art Vandalay sums is up pretty well. Great local spot with a special vibe. Best to eat at the bar, starting with some $1 oysters, followed by one of the nightly specials (fish & chips, fried chix) and ending with 15 shots of tequila and a nasty hangover that bit you out of nowhere after what seemed like an innocent evening. 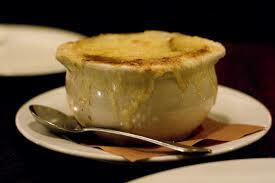 Had the onion soup and the burger tonight. Both fantastic! The burger is very tasty on rye toast and cut in half. Definately worth getting..not like any other burger I’ve had. The soup was good, and piping hot. I burned the roof of my mouth. It was almost worth it.